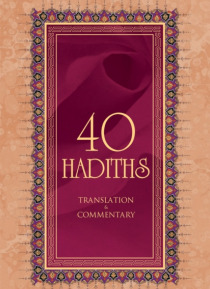 Providing a concise overview of 40 Hadiths?sayings of the prophet Muhammad?this compilation offers an in-depth investigation of the second essential source of Islamic authority after the Qur?an. Following the prophet?s encouraged tradition of focusing on a select 40 of the proverbs instead of the entire collection, this volume consists of the original Arabic text, English translations, and informa… tive commentary. Compiled from the works of prominent Muslim scholar Fethullah Glen, this study provides a clear portrait of how the prophet Muhammad established the principles of Islamic life through his teachings.